THE BEST LAID PLANS — As Fred (Luke Perry) and his crew are about to start construction he loses his crew, which could put his livelihood in jeopardy. Wanting to help his dad, Archie (KJ Apa) and his friends pitch in to help but after one of them is attacked, the gang comes up with a plan that lands them in Southside Serpent territory. With Jughead’s (Cole Sprouse) secret revealed, he is worried about how his friends will react. Meanwhile, Veronica (Camila Mendes) and Betty (Lili Reinhart) suggest throwing Polly (guest star Tiera Skovbye) a baby shower to make her feel better, but Polly is hesitant knowing how everyone feels. 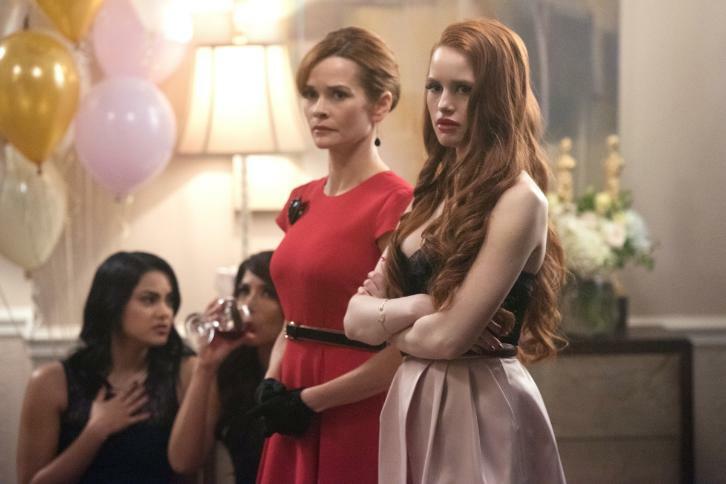 Marisol Nichols, Madchen Amick, Madelaine Petsch and Ashleigh Murray also star. David Katzenberg directed the episode written by Julia Cohen (#108). Original airdate 3/30/2017.